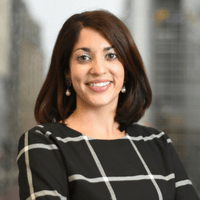 Sapna Mahajan, MPH, PMP, CHE, joined the Commission in 2009 with significant experience in health policy and management in Canada, the United States and overseas. Prior to joining the Commission, Sapna worked at the Queen’s Center for Health Services and Policy Research. She has also worked with the William J Clinton Foundation and the Centre for International Health and Development. At the Commission, she supports the implementation of program and priority initiatives, leading and directly accountable for the implementation of the Commission’s revised strategic goals in the areas of Workplace, Post-Secondary Education and Cannabis. She helped lead the development of the first in the world, National Standard for Psychological Health and Safety in the Workplace, and since then has been working with organizations globally to drive widespread adoption.